Making its debut in 2010, i Light Marina Bay, is a month long festival that is Singapore’s, as well as Asia ’s first sustainable light art festival. It serves as the regional platform for exchanging ideas and technology, artistic expression and public engagement through light art works which emphasize on intelligent light usage and sustainable use of energy. Since then (2010), there have been numerous dynamic and innovative light art installations along the 3.5km waterfront promenade that have been displayed over the years. 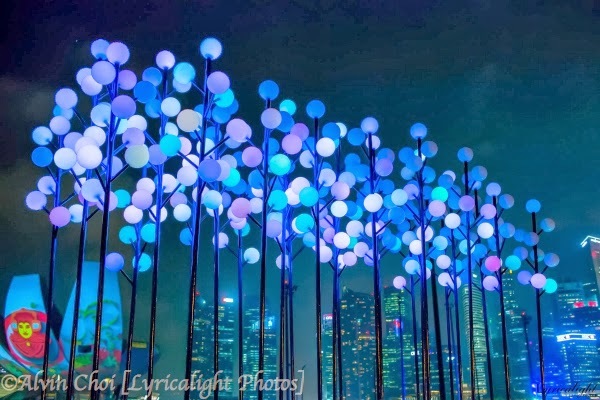 This year, i Light Marina Bay's theme is Light+heART and features 28 innovative and environmentally sustainable light art installations from around the world. From 7 to 30 March 2014 enjoy a full array of events, programmes and fun activities that are aimed to create a dazzling and enriching experience. There are free guided tours, entertaining performances, workshops and more; to bring you an even more enjoyable experience (check out the Calendar of Events). 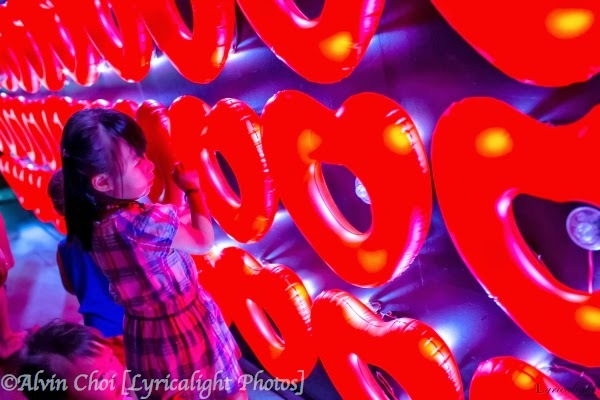 Floating Hearts by Travesias De Luz: Floating Hearts is presented as a wall of illuminated hearts, which invites people to play with it to form new visual spectacles with each contact. 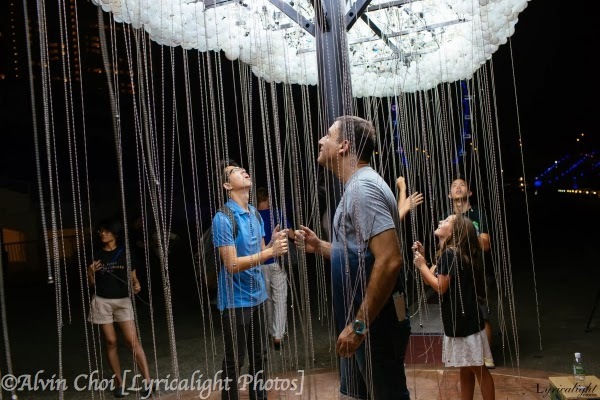 With its scale and tactile method of engagement, this unique installation also provides an interesting situation where everyone, whether strangers or families, can come together to interact, dialogue, and be delighted. 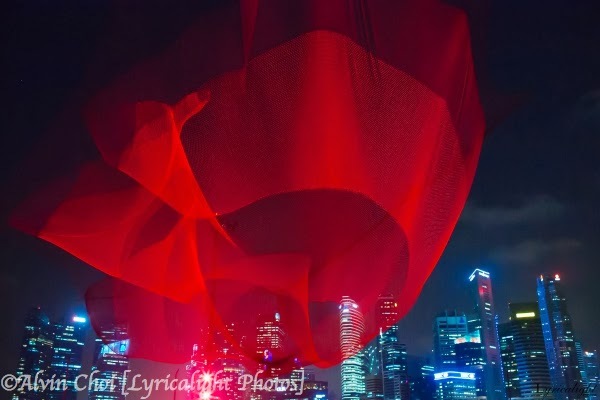 1.26 Singapore by Janet Echelman: Suspended over the floating platform, 1.26 Singapore's form and content has been drawn from observing Earth’s interconnected systems. This colorful volumetric piece takes the shape of a tsunami sweeping across the ocean. Celebration of Life by Justin Lee: Celebration of Life is a playful commentary on the role and value of traditional culture in our contemporary society. Through the use of Pop-art as a playful medium in this work, this installation celebrates Asian values in our modern society through a tongue-in-cheek manner. 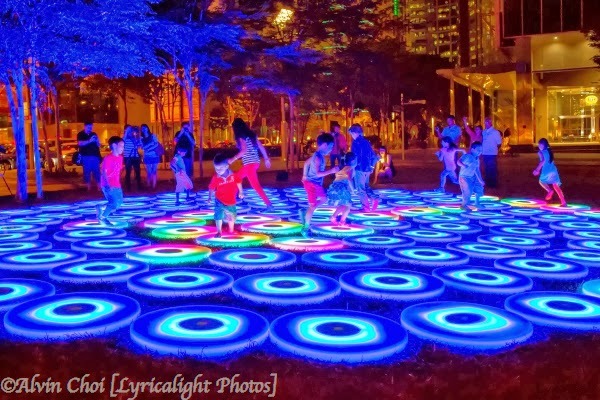 The Pool by Jen Lewin: The Pool is an group of giant, concentric circles created from interactive circular pads. By entering The Pool, visitors enter a world where play and collaborative movement create swirling effects of light and color. Digital Wattle by Out of the Dark: Golden Wattle, Australia’s floral emblem, inspires this installation as the artists translate an iconic element of nature from their homeland into an installation. Hence, adapting the form of the Golden Wattle into a series of light installations, the Digital Wattle is a device to explore the interplay between individual ethnic groups co-existing in one city. 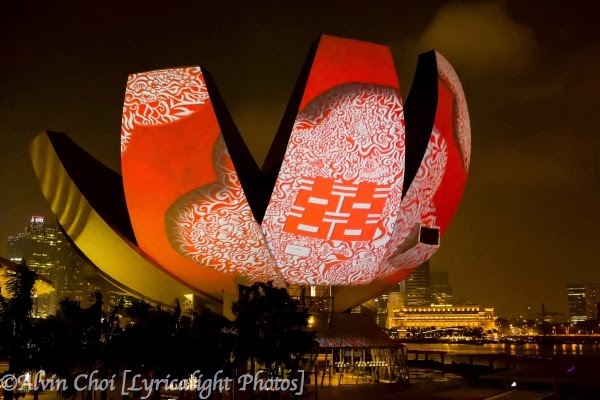 Cloud by Caitlind R.C Brown & Wayne Garrett: CLOUD illuminates the curatorial themes of i Light Marina Bay 2014 on a number of levels. As the sculpture is created from both new and recycled materials, combining the aesthetic of incandescent light bulbs with the brilliance of energy-efficient bulbs, CLOUD creates a playful commentary about the changing face of sustainability. While the piece is bright and attractive to audiences, the internal contrast of old and new light technologies provides a critical dialogue about energy, sources of light and sustainable progress, while maintaining an optimistic tone of magic, hope, and beauty. Giant Dandelion by Olivia d’Aboville: Giant Dandelions is a forest of 90 larger-than-life light flowers where people can freely walk through. The installation features flowers of varying heights. The 90 dandelion heads are made from close to 9,000 recycled water bottles that are cut and connected to one another by a nylon weave. Each flower is lit by an energy efficient bulb in order to create intensity variations within the forest. It is the second time Olivia is partnering “Hope in a Bottle”, a Filipino brand of water bottle which gives proceeds from their sales to building new public schools around the Philippines. 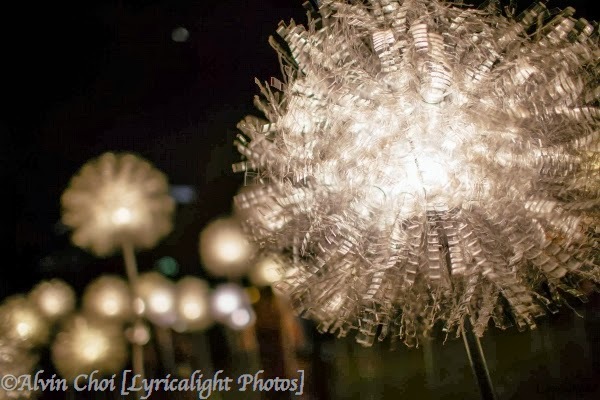 The exaggerated scale of the Dandelions through the presentation of this installation creates an interesting landscape of light, and through the creative re-using of the discarded plastic bottles, it sends out a bigger message of inspiration and hope to the less-privileged.